There was a preacher, who had been preaching in the same church for over 20 years, in a small town where everyone was close or related. During that time, God blessed the church with growth and with a united body that was devoted to each other and to its pastor and his family. One day, a single disgruntled member of the church happened to notice a vehicle parked in the parsonage driveway. It was not that unusual, as the vehicle was frequently there, because the owner of the vehicle and the preacher were close friends and often fished or hunted together. Nevertheless, this disgruntled member started a rumor that the owner of the vehicle was having an affair with the pastor’s wife. Although unfounded, that was all it took to start a verbal war and divide this once united and dedicated church. The rumor also spread quickly throughout the community, but the preacher was unaware of it all until he was confronted by the elders. Even after the church learned that there was absolutely nothing to substantiate this claim, the bonds of trust, unity, and friendship were broken. For the betterment of the church, the preacher left, but the problem remained. What was the problem? If you think it was a disgruntled member, you missed it. The battle is not against flesh and blood, but against spiritual forces of evil. We cannot control our tongue, for what is in our heart comes out of our mouth. If our heart is full of iniquity that is what will come out of our mouth, and it’s like an uncontrollable wildfire started by Satan, his demons, and our sin nature. Our rumors and gossip spread rapidly and destroy reputations, careers, ministries, and lives. ¬When you’re sharing a problem or criticism with someone who is neither part of the problem nor part of the solution, that is gossip. When you listen to gossip, you become tainted because it affects your soul (mind, will, and emotions). Gossip and any attitude that causes disunity is sin. Do not let any unwholesome talk come out of your mouth but only what is helpful for building up others according to their needs. Jesus prayed about unity in each segment of His prayer. Unity with the Father for Himself as it was before the creation of the earth, unity for the disciples with Him, and unity for us as the future believers. Whether or not we stand together as one, our community takes notice. They will only come to know Christ if they see our love for God and our love for one another in action. I don’t prove to the world and I don’t prove to DeQueen that I love Jesus by how often I attend church, or by how much money I give, or by how many hours I spend in prayer and Bible study. I show my faith is genuine by loving and serving each of you, even if you do not like me. Likewise, you show your faith through your love and service to others. Conversely, we show a lack of faith when there is disunity, gossip, back-biting, and rudeness. Love, which is kind and not rude, produces unity and causes us to value diversity within the church. We don’t need to have the same interests, the same personality, the same talents, the same politics. In fact, we could not function effectively without diversity. For the body does not consist of one member but of many. If the foot should say, “Because I am not a hand, I do not belong to the body,” that would not make it any less a part of the body. And if the ear should say, “Because I am not an eye, I do not belong to the body,” that would not make it any less a part of the body. 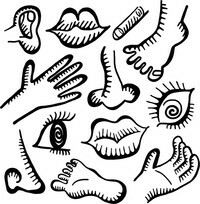 If the whole body were an eye, where would be the sense of hearing? 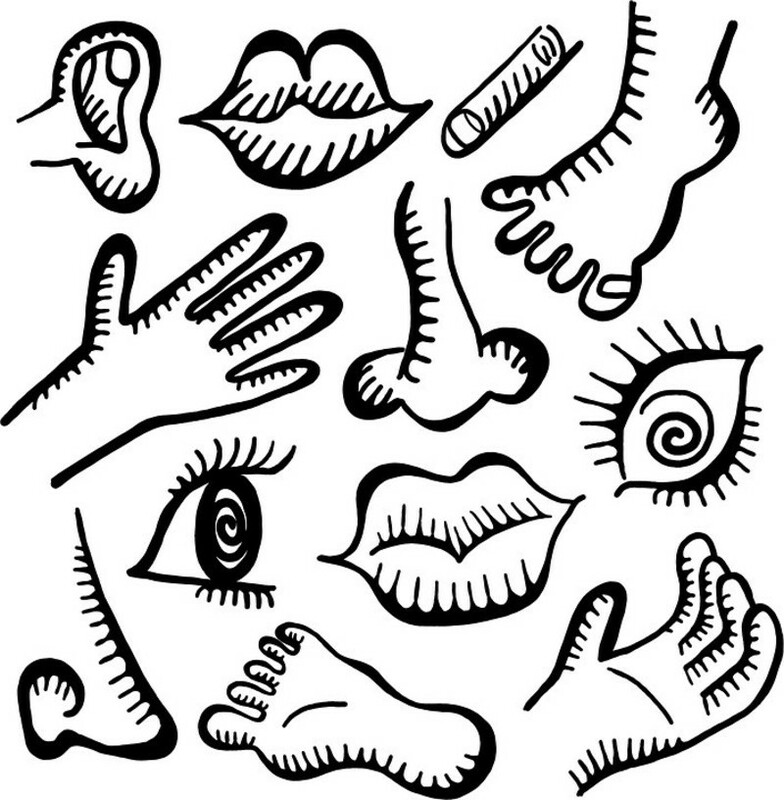 If the whole body were an ear, where would be the sense of smell? But as it is, God arranged the members in the body, each one of them, as he chose. If all were a single member, where would the body be? As it is, there are many parts, yet one body. The eye cannot say to the hand, “I have no need of you,” nor again the head to the feet, “I have no need of you.” On the contrary, the parts of the body that seem to be weaker are indispensable, and on those parts of the body that we think less honorable we bestow the greater honor, and our unpresentable parts are treated with greater modesty, which our more presentable parts do not require. But God has so composed the body, giving greater honor to the part that lacked it, that there may be no division in the body, but that the members may have the same care for one another. If one member suffers, all suffer together; if one member is honored, all rejoice together. Now you are the body of Christ and individually members of it. Every time we celebrate communion, part of the celebration is remembering the Body of Christ. Our shared relationship with Christ is what unites us. We all have different gifts and functions in the Body of Christ, but we share several important things: the same Lord, the same Holy Spirit, the same hope of eternity. We share the same faith, the same baptism, the same God and Father of all. We all have the same hope in the second coming of Christ. With that, we should be united with a sense that we are the Body of Christ doing His Kingdom work. The Church is like a family. Have you ever encountered a perfect family? Certainly, the family in which I grew up wasn’t perfect. Neither is my family, composed of my wife and five children. Families argue, disappoint, say and do hurtful things, but our love for one another will cause repentance, forgiveness, and endurance. Some in the Church family have more maturity and we look to them for how to grow up in Christ. Others are like immature children, young in the Lord. They need to be taught how to turn to the Lord when they have hurt feelings and to forgive each other instead of bickering, arguing, complaining, and gossiping. That is why we have Sunday school and Bible studies. The wonderful thing is that we don’t all have to be alike to be united. What unites us is our common love for Jesus Christ. We can be from different backgrounds ethnically, culturally, politically, and still love one another and work together. This love and unity is demonstrated when we surround a brother or sister in prayer during a time of need; when we bring a meal to someone just home from the hospital, or when we provide transportation to someone needing a lift. Unity is rejoicing with someone who is celebrating, and shedding tears with someone who is grieving. Therefore, unity is absolutely essential for the church to become all that God wants it to be and for God to be able to use it. Consequently, it is EVERY member’s responsibility to protect the church’s unity. Make every effort to keep the unity of the Spirit through the bonds of peace. Notice unity requires an effort. One of your primary jobs as a member of this church is not only to be involved in ministry but also to promote unity, love, and peace. Remember, love and peace are fruit of the Holy Spirit. So to keep the unity of the Spirit, we need to be filled with the Holy Spirit. Apart from the Spirit of Jesus, we can do nothing except fail. Unity is not 100% agreement in the church. Even great Christians like Paul and Barnabas disagreed. We must remember, the people we don’t like or disagree with are not our enemy. Satan is our enemy! Satan will use whatever means he can to break up the church. We are to be unified for Christ and against Satan. The #1 reason Christian ministries fail isn’t persecution, political turmoil, or lack of funds—it’s a failure to get along with other believers! It’s also the #1 reason people leave churches—they have a disagreement with someone, harsh words are spoken, and instead of being repentant and forgiving; instead of trying to reconcile, they leave the church. Now, I’m not saying you should stay in a church where wrong things are being taught or the Word of God is twisted. But like a marriage, your church membership should one of commitment. Kathy and I have been married 47 ½ years and sometimes we disagree with each other. But we are committed to each other. Our disagreements are not going to lead to a divorce. We work through our problems and continue to love one another even if we fail to completely agree. Too many people want to divorce their church rather than solve their disagreements and problems. It seems the easier thing to do. But they go to another church and find out it’s not perfect either. By the way, I have never found a perfect church! And I tell you what—if I ever do, I won’t go there—because then it will cease to be perfect. Therefore, we need to accept people where they are and not where we want them to be. Eventually, we will all get closer to each other as we individually get closer to Christ. So, in the meantime, we can agree to disagree on non-essential issues. If it is an essential matter, then we will resolve it by obeying the Word of God. So, this process encourages us to reserve it for essential matters and to forgive minor issues, but that means you don’t get to tell everyone else about it! You silently let God handle it. No, if you have to tell someone, go directly to the person you have a problem with, first, and not to anyone else. You don’t need to find out if others feel the same way or create allies who sympathize with your feelings. If going directly to the person doesn’t bring reconciliation, take one or two others along who have evidence of the infraction. Don’t be a party of hearsays. If they still don’t repent, then bring it up to the church. If the person remains unrepentant after counsel with the church elders, then we are to treat them as a sinner. How do you treat a sinner? You love them, you pray for them, and you keep telling them what the Word of God says. Until they repent, they may attend services like any other sinner, but they shouldn’t have any membership responsibilities. Allowing them to “fit in” as a member sends the wrong message that their stubborn, unrepentant sin is acceptable. Because sin affects the whole body, sometimes more drastic actions are necessary to keep the unity of the Spirit through the bonds of peace. I admit, we are very slow about taking this action because, unfortunately, the person will likely find a church or a community that will condone their sin and they may never repent, thus sealing their eternal damnation. Therefore, we are patient, in prayer and in the Word, to provide every opportunity for repentance. However, we cannot allow harm to come to other members nor let Satan divide the church. So this action may become necessary to save the sinner and the unity of the church. The purpose of this action is not to punish but to cause the person to realize their sin is not condoned by God. It is “tough love”, done after all the other steps have not brought about repentance, with the hope that it will produce godly sorrow that leads to repentance. After that person repents, they should be forgiven and brought back into the fellowship, as we see in Paul’s second letter referring to the same issue we just read in his first letter. It is very important for us to know and DO what the Word says to maintain unity. Problems will arise and we need to respond in a Christ-like manner instead of an evil manner. Therefore, I pray everyone will commit to being filled with the Holy Spirit, being patient in love, and doing whatever the Word requires to maintain peace and unity in our fellowship. It is everyone’s responsibility. Don’t become an instrument of Satan to do evil. It can happen to a disciple. Remember Judas? I realize this was not an evangelistic message, but if you have never committed your life to Jesus Christ, then you are not part of God’s imperfect family. That family is in the process of perfection, but you haven’t even begun that process. However, you can change that if you believe Jesus Christ is the Son of God who atoned for your sin by dying on the cross and rising again from the dead. If you believe that, confess it publicly and repent of your sin. Give your life to Jesus by dying to yourself in baptism and being born again of the Holy Spirit. Having God as your Father puts you into His family. And God, the Holy Spirit, will change you into the perfect image of the Son.